Quitting your job, packing your bags and moving to a new city is one of the most exciting and daunting things you can do, and Berlin embodies the fear and adventure this process brings. On one hand, its combination of history and culture makes boredom impossible, but while intrigue is never far away, with its various Anmeldungs and tax numbers, Berlin also contains some of the most brutal bureaucracy in recorded history. Once the initial excitement and administrative procedures are done, what comes next? 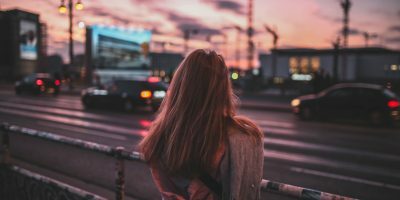 Outside of the obvious challenges of finding a job and apartment, many people want engagement with locals and involvement in the community, although finding this can present challenges of its own. 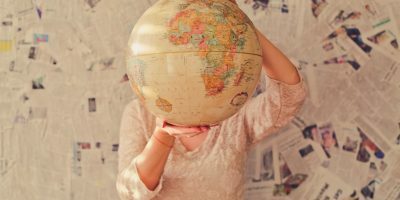 As a recent arrivee in Berlin, and having already volunteered back in New Zealand and in South America, it seemed like the obvious thing to do and before long I was searching for opportunities. After browsing a few different platforms, vostel stood out because of its ease of use and transparent sign-up process. Upon registering for a few different projects, a few nagging questions came into my head. What if it’s too hard? What if it’s boring? What if I don’t like the people and what if it’s not worth the effort? Having helped with a few projects in Berlin, the truth is that sometimes these mini nightmares come true but the vast majority of the time, the rewards of volunteering far exceed the effort. Being involved with Berliner Tafel for a day was a great experience and was ideal for practising German but by far the most interesting project I have worked with was Feldkino Berlin, an organisation which shows films at Tempelhofer Feld every Wednesday evening during summer, with a philosophy of offering a free stage and support for “Berliner” filmmakers. My initial instructions were to meet Öz (the brains behind the project) close to Tempelhofer Feld and to help him carry the necessary equipment for setting up the screen. As soon as I met him and was introduced to the other volunteers, my worries about volunteering disappeared and the experience ended up being interesting and fun. 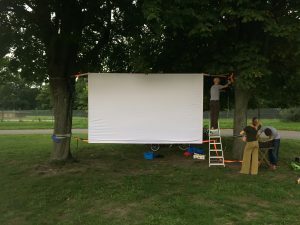 The nature of my work was helping to construct an outdoor movie screen, which was done by securing large tie-down straps to two conveniently spaced trees, and connecting them with pieces of wood, to which the cloth screen was attached via Velcro. This was a custom method devised by Öz, meaning he was always interested in input from volunteers and willing to hear suggestions for how the system could be improved. 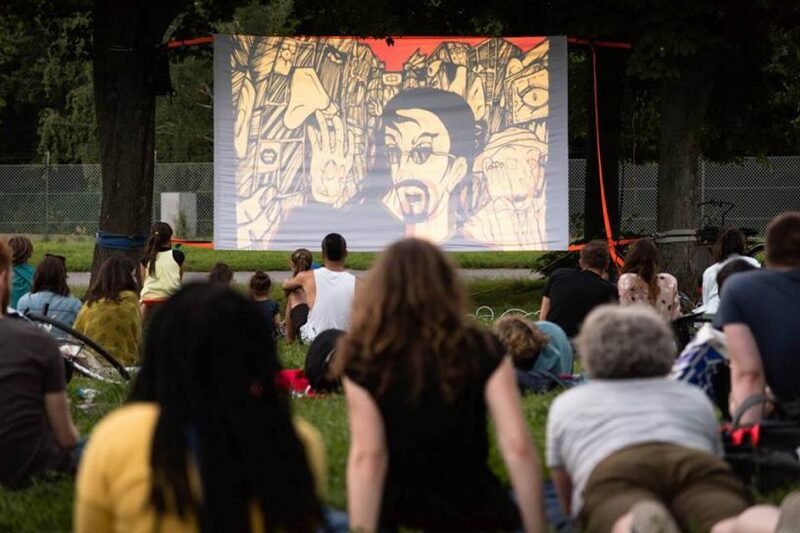 After the construction of the screen was done it was time to sit back and watch the film, which on my first night was Labyrinth der Heimat, a documentary about refugees discussing what ‘home’ means to them, particularly in the context of their experiences in Berlin. Once the film was done and the audience had filtered out, and after a challenging 20 minutes packing up in darkness (must remember torch next time), all of the volunteers got together, drank a beer, and planned the following weeks event. Given the enjoyment from that first night and from getting to know Öz, I helped with many more of his film screenings and plan to stay in touch with him and be as involved as possible with his future projects. 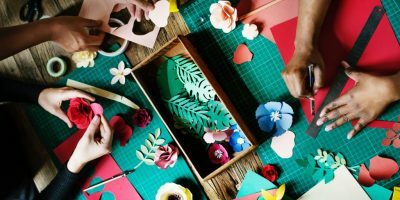 While not all volunteering experiences are like Feldkino, most are, and if you’re new in Berlin and looking to meet interesting people while helping in the community, get on vostel.de, choose your favourite projects and get involved! 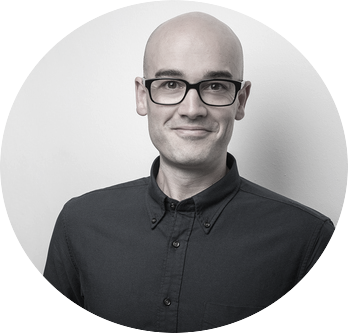 Peter recently moved to Berlin after growing up and almost growing old in New Zealand. In his spare time he can be found exploring Berlin, on his computer improving his Python skills and of course volunteering for interesting projects on vostel.